Greenwich Township is often referred to by many people as being part of “P-Burg” (Phillipsburg). But as you can see from the borders – it isn’t! We do a lot of shopping up there – primarily Home Depot and Shoprite. Greenwich Township is a township in Warren County, New Jersey, United States. As of the 2010 United States Census, the township’s population was 5,712, reflecting an increase of 1,347 (+30.9%) from the 4,365 counted in the 2000 Census, which had in turn increased by 2,466 (+129.9%) from the 1,899 counted in the 1990 Census. The township is located in the far eastern region of the Lehigh Valley. Greenwich Township has a long history passing through as part of most of Northwestern New Jersey’s counties. The township was first mentioned in official documents on October 9, 1738, as a part of Hunterdon County. On March 15, 1739, it became part of the newly formed Morris County. On January 22, 1750, portions of the township were taken to form Hardwick Township. On June 8, 1753, Sussex County was created, and Greenwich Township was shifted again. Portions of the township were taken on May 30, 1754, to form both Mansfield Township and Oxford Township. The township was incorporated by an act of the New Jersey Legislature on February 21, 1798. It found its current home when Warren County was formed on November 20, 1824. On April 8, 1839, portions of the township were taken to create Franklin Township and Harmony Township. On March 7, 1851, Phillipsburg was created from parts of Greenwich, and Pohatcong Township went off on its own as of January 1, 1882. The township was named for Greenwich, England. According to the United States Census Bureau, the township had a total area of 10.543 square miles (27.305 km), including 10.530 square miles (27.272 km) of land and 0.013 square miles (0.033 km) of water (0.12%). Greenwich CDP (with a 2010 Census population of 2,755), Stewartsville (with 349 residents in 2010) and Upper Stewartsville (2010 population of 212) are unincorporated communities and census designated places(CDPs) located within the township. Other unincorporated communities, localities and place names located partially or completely within the township include Coopersville, Kennedys Mill, Port Warren and Still Valley. At the 2010 United States Census, there were 5,712 people, 1,808 households, and 1,546 families residing in the township. The population density was 542.5 per square mile (209.5/km). There were 1,870 housing units at an average density of 177.6 per square mile (68.6/km). The racial makeup of the township was 84.42% (4,822) White, 6.36% (363) Black or African American, 0.12% (7) Native American, 6.16% (352) Asian, 0.05% (3) Pacific Islander, 1.09% (62) from other races, and 1.80% (103) from two or more races. Hispanics or Latinos of any race were 6.37% (364) of the population. There were 1,808 households, of which 51.5% had children under the age of 18 living with them, 76.1% were married couples living together, 6.7% had a female householder with no husband present, and 14.5% were non-families. 11.1% of all households were made up of individuals, and 4.4% had someone living alone who was 65 years of age or older. The average household size was 3.16 and the average family size was 3.43. In the township, 33.0% of the population were under the age of 18, 5.7% from 18 to 24, 25.1% from 25 to 44, 29.7% from 45 to 64, and 6.4% who were 65 years of age or older. The median age was 38.4 years. For every 100 females there were 95.8 males. For every 100 females age 18 and over, there were 93.4 males. The Census Bureau’s 2006-2010 American Community Survey showed that (in 2010 inflation-adjusted dollars) median household income was $102,250 (with a margin of error of +/- $16,103) and the median family income was $112,535 (+/- $19,851). Males had a median income of $95,469 (+/- $9,585) versus $60,986 (+/- $7,346) for females. The per capita income for the borough was $37,290 (+/- $3,322). About 1.1% of families and 1.7% of the population were below the poverty line, including 2.2% of those under age 18 and 5.2% of those age 65 or over. As of May 2010, the township had a total of 48.98 miles (78.83 km) of roadways, of which 31.14 miles (50.11 km) were maintained by the municipality, 9.73 miles (15.66 km) by Warren County, 7.89 miles (12.70 km) by the New Jersey Department of Transportation and 0.22 miles (0.35 km) by the New Jersey Turnpike Authority. Greenwich is accessible from Interstate, U.S. State and County roads. 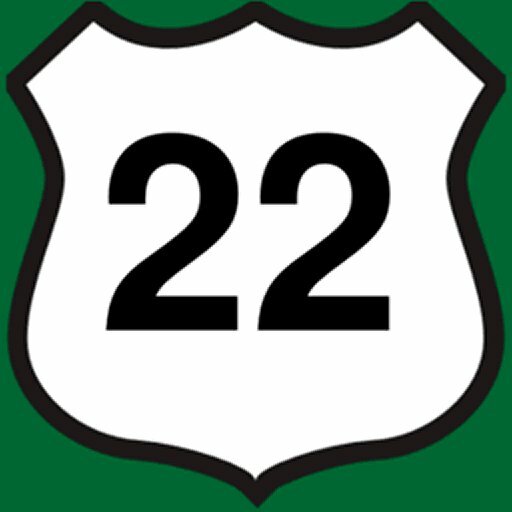 Interstate 78 passes through in the central area while U.S. Route 22 runs along the western border before running concurrently with I-78. Route 57 passes through in the north and Route 173‘s western end starts at the western municipal border at I-78/US 22. County Road 519 travels through the western corner for a short distance while County Road 579 passes through very briefly in the south before terminating at Route 173. Henry Green (1828-1900), Chief Justice of the Supreme Court of Pennsylvania. William Maxwell (1733-1796), brigadier general in the Continental Army during the American Revolutionary War.